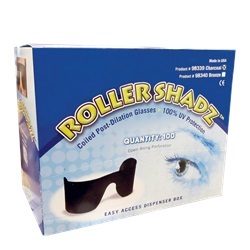 Roller-Shadz coiled sunglasses cling lightly but securely to patient's temples. 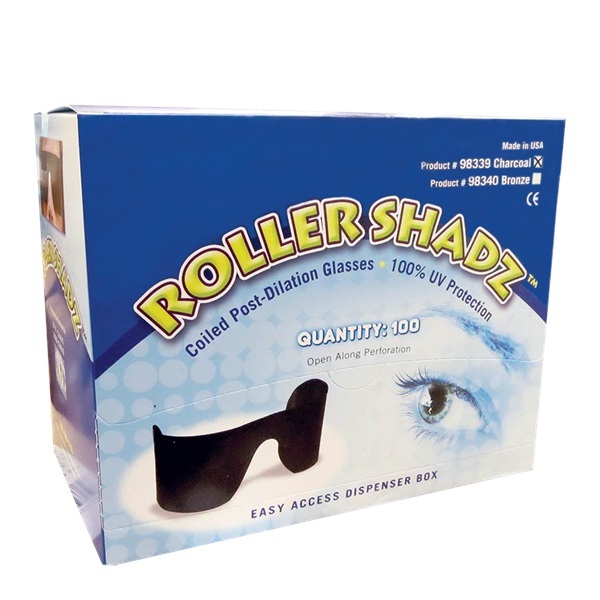 They spring back into a coil when removed and can be worn under glasses or by themselves. 100% UV protection. Comes 100 per box.